Within the next week or so thousands of Labour Party members who live in the London Borough of Newham will be invited to local meetings to vote by secret ballot on the future ‎of the Newham Labour Mayor candidate for the 2018 election. This process is known as a "trigger ballot" (or "affirmative ballot") and is due to be completed by 4 December 2016. As with nearly all things in the Labour Party (especially in Newham)‎ this process is not straight forward and is complicated. Let me try to explain it here and in my next post I will give my reasons why I will be voting "NO" for what I believe to be the only way to get a real democratic choice for members. In Newham, unlike the great majority of London Boroughs and UK councils we have what is called a directly elected Executive Mayor. This is a hugely powerful and important position. Newham has a budget of some £250 million, employs thousands of staff and has a £1 billion per year turnover. The Mayor controls practically all "executive power" in Newham such as council tax, housing, rubbish collection, street cleaning, anti-social behaviour, budgets, staffing, parking, employment training, Community hubs, environment protection and social services. It is also very influential on planning, licencing, policing, transport, health services and education. The Executive Mayor and local Councillors are elected every 4 years and the next election is due in May 2018. The Labour Party obviously has to have a process on how to choose its candidate for Executive Mayor ‎in 2018. What has been "decided" (so far - it is being challenged) for Newham is that there will be a "trigger ballot" process. Eligible labour party members (and I will come to back to "eligible" later) as mentioned above will be invited to local meetings and checked in if they are eligible. There will then be a 30 minutes debate by members on whether to simply allow the incumbent labour Mayor, Robin Wales, who has been the candidate since 2002, to be the Labour candidate again in 2018 or whether there should be an 'open selection process' in which other party members could apply to be a candidate. Each speaker will be limited to speak for 3 minutes and you could get a maximum of 10 speeches for or against Robin Wales being the Labour candidate again. 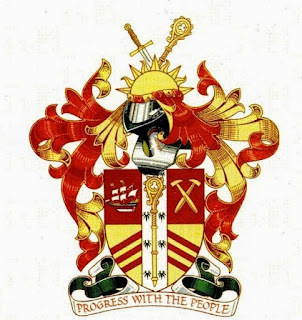 If a majority of official Labour branches (also known as wards), affiliates (trade unions and socialist societies) and Forums (for example West Ham Women's Forum) in Newham vote YES then Robin Wales will remain the Labour Mayoral candidate in 2018 but if a majority vote NO there will be an open selection process. This is not a "one member, one vote" (which I would support) instead each branch, affiliate, forum has one vote. Regardless of how many members they have in their particular branch etc (I told you it was complicated). Again it is how the "majority" of branch, affiliates and forums vote that will count. I wonder what would happen if there is a tie? To be clear if the decision is NO then Robin Wales will still be automatically shortlisted as a possible candidate. It just means others can apply as well and members will have a democratic choice. I will be voting NO ‎and hope that there will be an open democratic process with more candidates to give a real choice and will explain my reasons in future posts.